*Private Bathroom & Shared Bathroom. 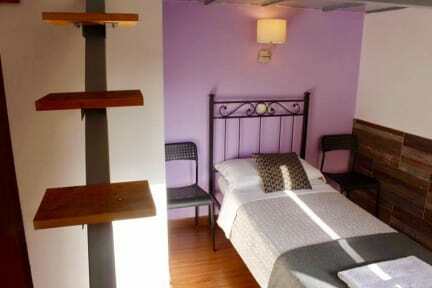 *extra beds can be added in the room if required, the price will depends by the season. Cancellation policy: 7 days before arrival. In case of a late cancellation or No Show, you will be charged the first night of your stay. Perfect location to everything in Rome! The accomadation was nice and clean and the beds were comfy. It's not in a sketchy part of town. I think people are just uncomfortable being around people of different races. Right be the train station and was very clean. Much nicer than expected. Front desk lady did not speak English but we got by. You do have to pay in cash but they let me pay the 2nd day because I initially didn't have cash. Great place to stay in central Rome! Everything was very smooth, there is one young receptionist who speaks English very well and communicating with him was no issue at all. They only take cash payments but as we didn't have enough cash to pay on check in we could pay later and that was no problem at all. We had one room in three in a shared flat with only one bathroom (toilet and shower) and that was the biggest issue as one morning we had to wait quite some time before it was our turn. The location was a 3 minute walk from the train station which was brill but the actual area outside the hotel isn’t great with few drunk men who sometimes hassled you as a girl. However the room itself was amazing for the money- aircon, ensuite and lovely clean room. Felt safe inside and staff were lovely. Despite the location (which had its benefits of being 20 minute walk to the Colosseum) it was really great value for money! Surprisingly clean and modern insides! Free shampoo and body wash is always bonus... Very secure with multiple doors til the room. Small but tidy. Walking distance to Colosseum and there's an old gelateria nearby where all the locals and few lucky tourists go for quality gelato. WiFi was great, air conditioning was really nice.. can't really find anything negative to say about this place, except at night, there are a bunch of dudes hanging surrounding the building, smoking drinking doing drugs. Great location if you want things to be relatively close but it to be affordable - handy for Termini and Metro (and Opera), but the area felt a bit rough at times. Clean, comfortable room at a good rate for Rome. We had a room which looked out over an internal courtyard and was very quiet at night. Towels were not delivered until 6pm (we arrived at 4pm) which was a bit strange. Bathroom was clean and shower good. Staff were friendly and some speak good English. 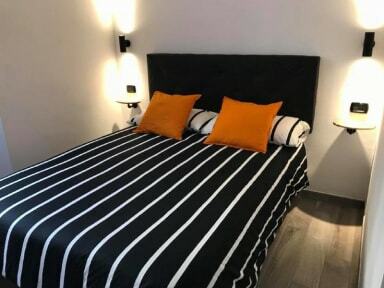 If you’re after a short and cheap stay in Rome, this is perfect! My boyfriend & I got a private room & it was quite spacious :) Bed was very comfortable and our room was cleaned daily! Don’t get me wrong, facilities were cleaned everyday but the bathroom was a bit rough around the edges (shower door didn’t open/close well, wasn’t always hot) but nothing to worry about. The location was amazing! Right next to Termini and so easy to get around with the metro station also being right there! Location is not bad, particularly for going to the airport. At night it was a little loud but not too bad. I found the hostel difficult to find. It was a nice, clean dorm room and bathroom. I felt comfortable and safe inside. It's conveniently by the Roma Termini and the oldest gelato shop in Rome. Overall I think it was a good experience for the price I paid.